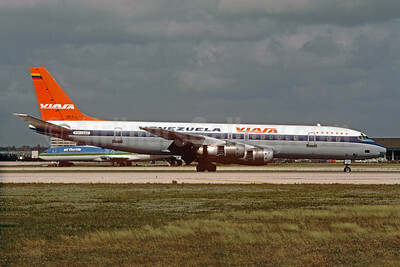 (Venezolana Internacional de Aviación Sociedad Anónima) (VA/VIA) (Caracas) 1961 - 1997. Photos. Framable Color Prints and Posters. Digital Sharp Images. Aviation Gifts. Slide Shows. 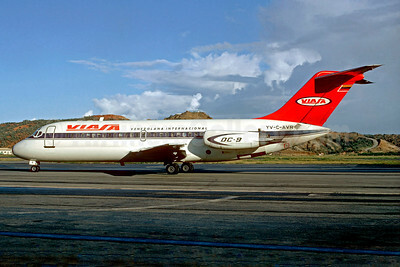 VIASA - Venezolana Internacional Douglas DC-9-14 YV-C-AVR (msn 47060) CCS (Christian Volpati Collection). Image: 934395. 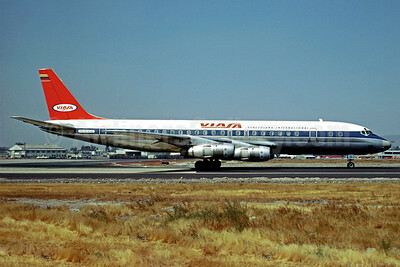 VIASA Venezolana Internacional McDonnell Douglas DC-8-53 YV-C-VID (msn 45768) MEX (Christian Volpati). Image: 902263. 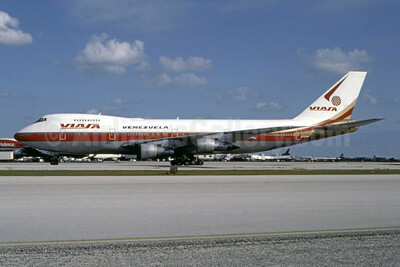 VIASA Venezuela (World Airways) Boeing 747-273C N747WR (msn 20651) (World Airways colors) MIA (Bruce Drum). Image: 104854. 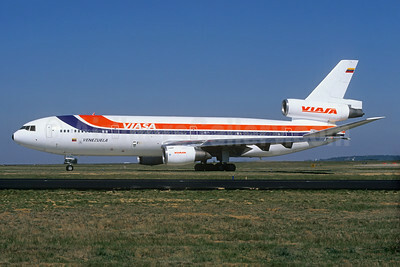 VIASA Venezuela (World Airways) Boeing 747-273C N749WA (msn 20653) MIA (Bruce Drum). Image: 102779. VIASA Venezuela-KLM McDonnell Douglas DC-10-30 PH-DTG (msn 46556) AMS (Christian Volpati Collection). Image: 928137. 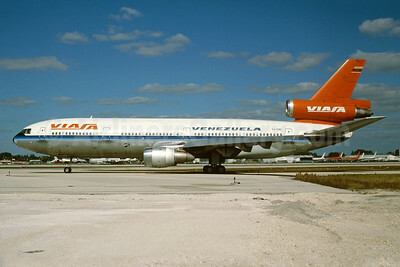 VIASA Venezuela Airbus A300B4-103 N407UA (msn 124) (Eastern colors) MIA (Christian Volpati Collection). Image: 934394. 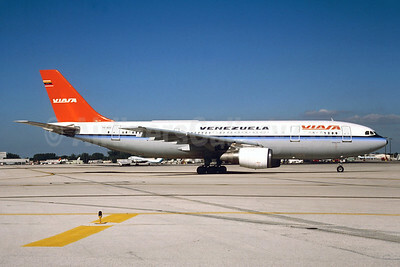 VIASA Venezuela Airbus A300B4-203 N222EA (msn 153) (Eastern colors) MIA (Christian Volpati Collection). Image: 934393. 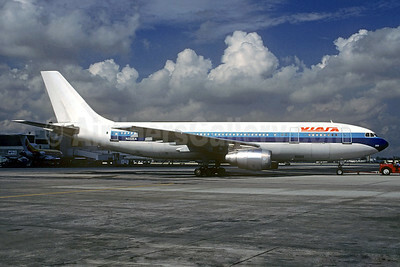 VIASA Venezuela Airbus A300B4-203 YV-161C (msn 075) MIA (Keith Armes). Image: 928130. 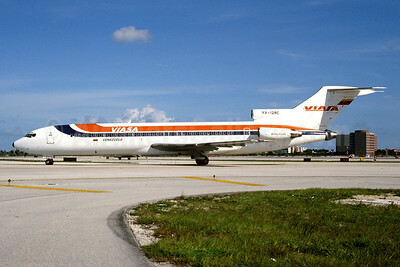 VIASA Venezuela Boeing 727-256 YV-128C (msn 20605) MIA (Bruce Drum). Image: 103958. 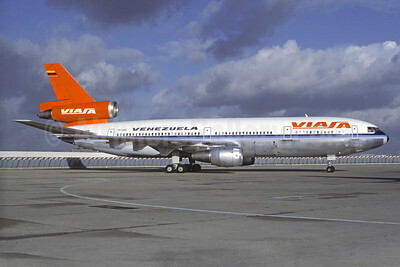 VIASA Venezuela McDonnell Douglas DC-8-53 YV-132C (msn 45614) MIA (Christian Volpati Collection). Image: 928135. 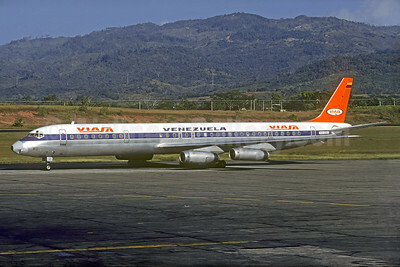 VIASA Venezuela McDonnell Douglas DC-8-63 YV-125C (msn 46042) PTY (Christian Volpati Collection). Image: 928136. 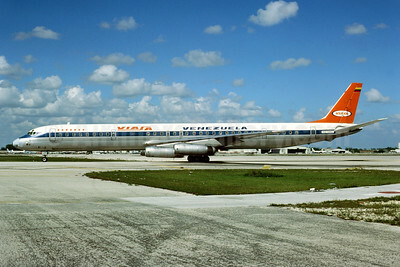 VIASA Venezuela McDonnell Douglas DC-8-63 YV-126C (msn 46063) MIA (Bruce Drum). Image: 103959. 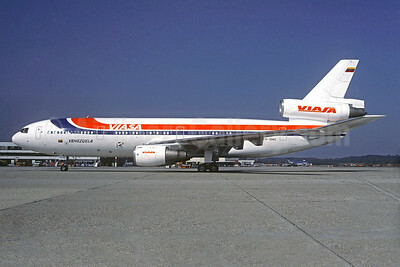 VIASA Venezuela McDonnell Douglas DC-10-30 YV-134C (msn 46556) CDG (Christian Volpati). Image: 928132. 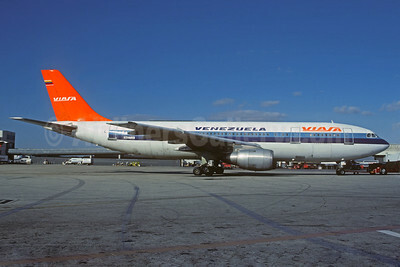 VIASA Venezuela McDonnell Douglas DC-10-30 YV-134C (msn 46556) ORY (Jacques Guillem). Image: 928131. 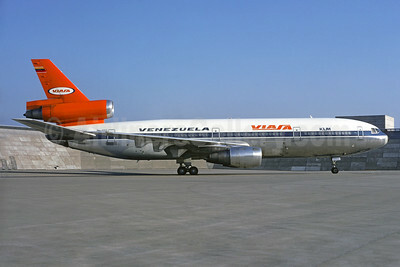 VIASA Venezuela McDonnell Douglas DC-10-30 YV-134C (msn 46556) ZRH (Christian Volpati Collection). Image: 928133. 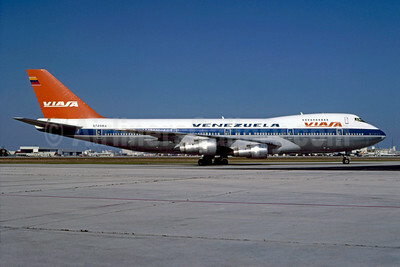 VIASA Venezuela McDonnell Douglas DC-10-30 YV-138C (msn 46557) MIA (Keith Armes). Image: 928134.